The basis of a contract is either consensus which is an actual meeting of the minds of the contracting parties, or the reasonable belief by one of the contractants that there is consensus. The above statement of the law is not an inescapable conclusion; it is the result of an interaction between logic and legal policy dating back to Roman Law. In general, consensus consists in the agreement between two or more persons with regard to the consequences or results they wish to create. There has been some controversy as to whether the intention which creates the agreement must always emanate from at least two distinct persons, or whether consensus can also occur where the intention emanates from one person in more than one capacity. The contractants must agree on the consequences they wish to create. The consequences of a contract are obligations, the contents of which are the claims and duties to be performed, which are created for the contractants. Consensus can therefore only be present if the contractants are ad idem about the obligations they wish to create; that is, about the persons between whom they wish to create the obligation as a legal bond, as well as the performance to be rendered. They must intend to bind themselves legally. If a contractant does not intend to be legally bound by the agreement, it cannot be a contract, since there is no consensus. 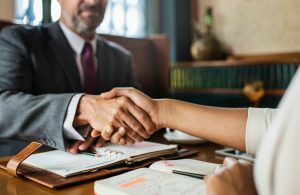 An expression of will, which is made without the intention of becoming legally bound by its eventual acceptance, can accordingly not even qualify as an offer which may lead to the creation of the contract. The parties must be aware of their agreement. For the purpose of law, consensus exist only if the parties who agree are aware of their agreement. No consensus will be present, for example, if A decides to sell his car to B for R1 000 and B, completely unaware of A’s intention, decides to offer him R1 000 for the same car. Consensus will only exist if one person becomes aware of the other’s intention and reacts accordingly. It is therefore clear that once a mutual termination agreement between an employer and employee has been reached, signed and accepted by the parties, an employee cannot refer an unfair dismissal to the CCMA, as there was consensus in the finalisation of the agreement to terminate on mutual grounds the employment relationship between employer and employee.